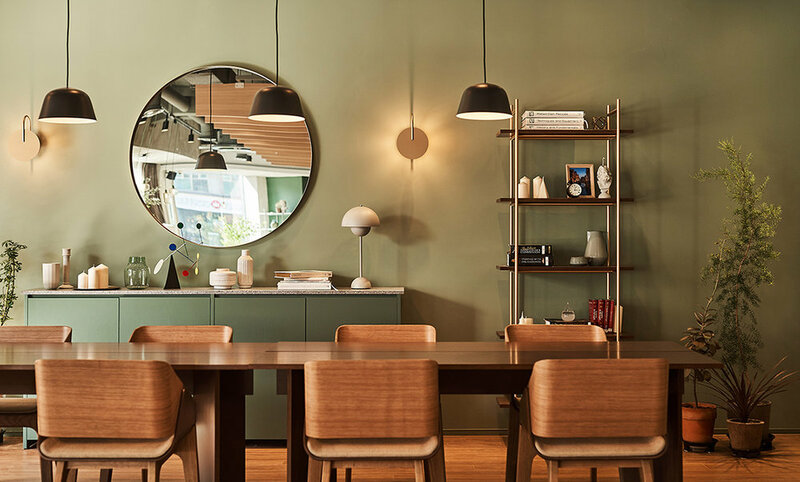 Joongho Choi studio has undertaken the project of "Korean taste space" which is newly introduced by Sempio, a Korean food manufacturing company. 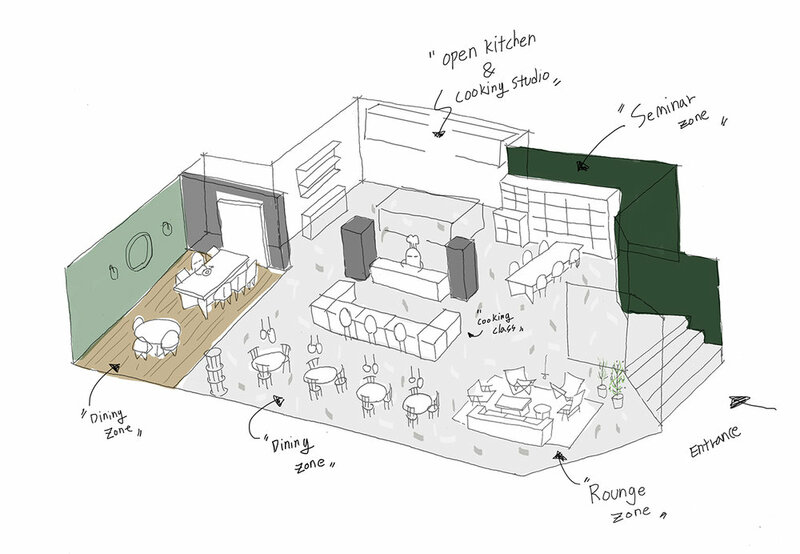 this pop-up restaurant space brings a broad view of our wider food culture by experiencing cooking class and seminars. There are three types of space divided by cooking classes, seminar, and dining in Sempio. These spaces are very similar to the type of housing we live in. 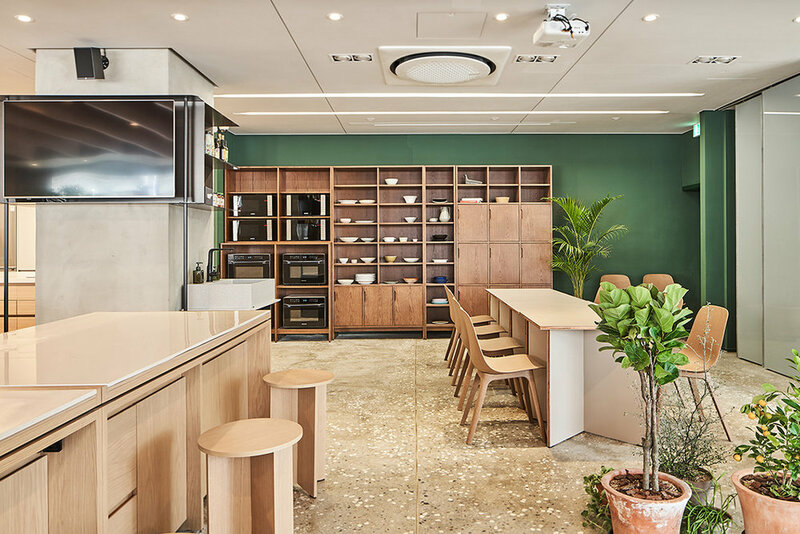 It was designed with the concept of kitchen, living room, and dining room, which is a residential function, in order to naturally include various functions in one space. 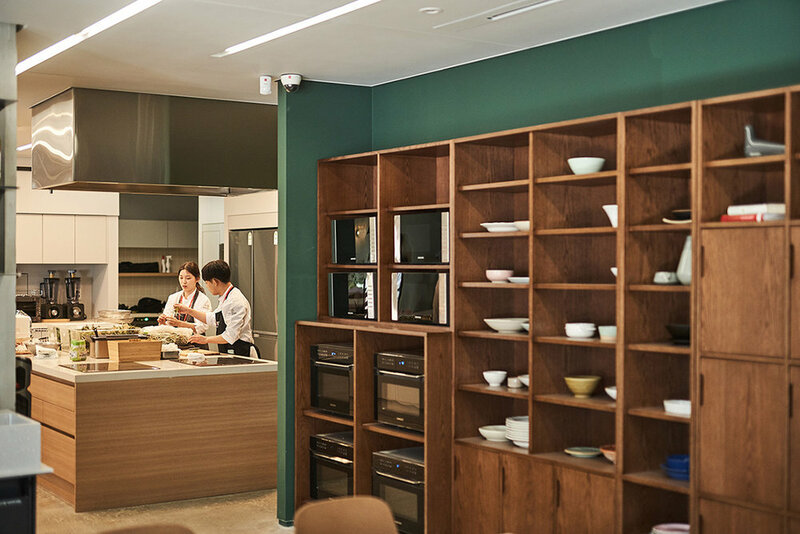 The working table that can do cooking class from the kitchen which is the planning center of our taste study of Sempio is composed of open kitchen. 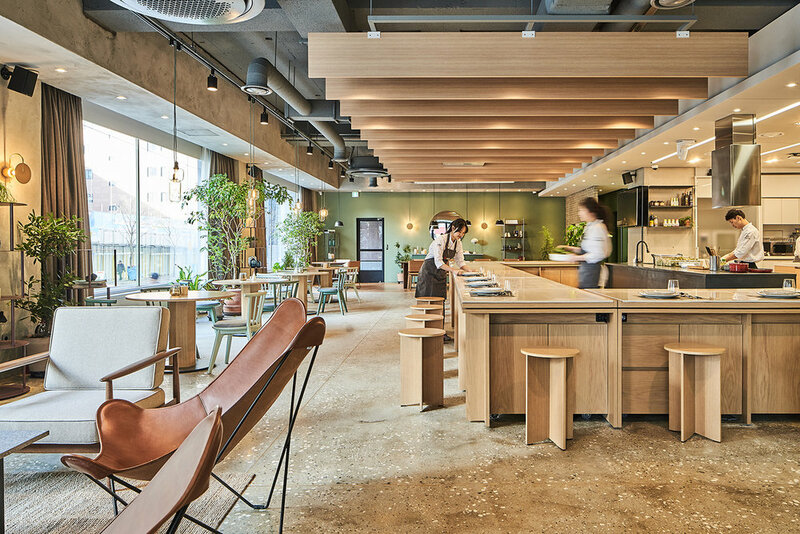 And also there is a dining zone where you can eat cooked food in the space where lots of light comes in through the window where you can feel the open feeling. 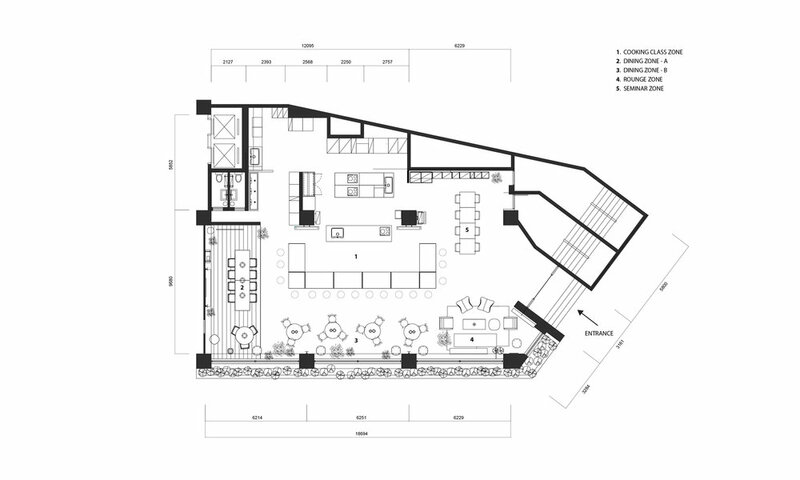 In front of the entrance, there is a simple meeting room and a lounge area where you can relax. it shows impressive harmony of warm sunshine, plants and accessories. Each space is not clogged, and each function is naturally created in an open form.